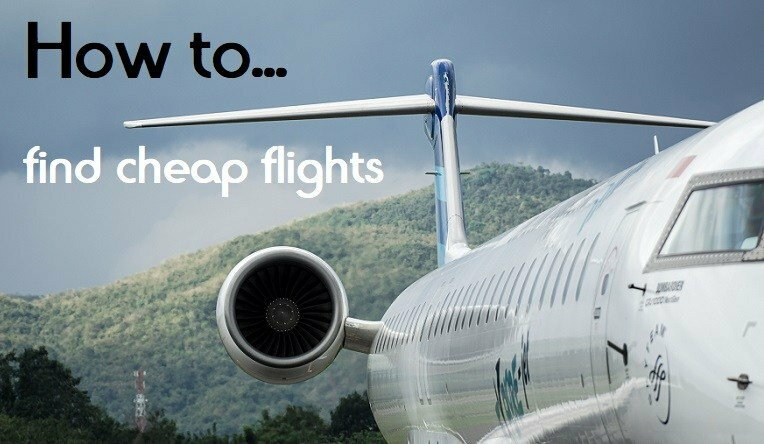 I have put together my top 6 tips on how to find cheap flights in the below article. Looking forward to get some feedback from you guys and see if there are new ways to safe money on the road? I am actually back in London to work after over 3 years of traveling, so might have missed the newest trends. The number one tip on how to find cheap flights is very easy. If you are able to be flexible by lets say, quitting your job, you have full freedom on where to go at which time and can cherry pick the cheapest flights. Another nice way of having the luxury of time is that you can combine many far away places in a single trip without having to travel back to your home country in between. While not everyone will be able to quit his or her job, you can certainly do some research prior the trip and make sure you can make use of the cheap connections. It all takes a bit of planning and the following tips will help you how to do it exactly! Tip: If you consider to travel full time and need some help on the entire planning process, I recommend reading a book like "Create Your Escape: A Practical Guide for Planning Long-Term Travel" first and also check my own collections of tips on how to travel cheaply! Just as you would use Google to find information on the web, there are certain site crawlers that can help you to find the cheapest flights. The most known and probably also best site is Skyscanner. Not only can you search for the best flight from your town to your destination, but you also have the calendar function which give you a great overview on when the cheap flights are available. You can search for entire months and even the entire year! This will give you the cheapest time to fly out to your dream destination and you just need to book the holiday Another really cool feature is the "Can't decide where?" option. If you are not certain where to go yet, or you have so many places to still go to (like me^^), then you should have a look at that option. Just left-click into the "To" field and you should see the option coming up. If you click on it, Skyscanner will list you all possible destinations sorted by cost. This is an amazing feature to find cheap routes and sometimes I make my plans on where to go next just by using this kind of search and finding some good deals! Once you have found your cheap flight in Skyscanner and identified the cheapest airline and route, I recommend do go straight to the website of the airline and look for the same flight there again. The trick here is to use the incognito mode of your browser, as sometimes you will get higher prices if the website was able to save information about your previous browsing history by using cookies. The cookie will tell them that you had looked for the specific flight already and sometimes give you a higher price as a result, trying to scare you to book quickly without waiting for a better flight. Using Incognito mode will help you to prevent that! Tip: Talking about later bookings, I can only recommend to not book your flights during the first research. Find cheap flights, write down the prices and then observe them for a few weeks if you can to see if they might go even lower! Another great way to save money traveling by finding cheap flights is the Open-jaw ticket function. Basically instead of flying from A to B (and perhaps back), you book an additional flight to C as well and have them all combined in one booking. This can save a lot of money compared to booking flight separately and many people I have talked to did not even know about the option of Open-jaw flights! You can even use Skyscanner again for those. I usually check for the one-to-one connections first and see what day of the week offers the best price and then add the flights together in an Open-jaw search. Sometimes you can get the overall spending down even further that way, making it a really good tip on how to find cheap flights - especially when you are flying further away with longer flights. Using a credit card that will not charge you to withdraw money and pay flights online with will save you money on the long run. While those cards have been common in the past, I find it harder to get one nowadays and you might have to do some research on your end. Getting both withdrawals and payments completely free of charge for the correct conversion rate of the local currency will probably require some research first. Some countries are more credit card friendly than others. Especially living in the US will give you a seemingly endless pool of options. I know some full time traveler paying less than 400$ to travel around the world a couple of times, even using business class! That's insane, but sadly only works by using multiple credit cards with big sign up bonuses and those are hard to find here in Europe unfortunately. This site lists you a bunch of good cards, but some extra research will certainly be needed to master the art of flying with credit card points! Flying around the world without spending too much money is certainly an art. It is also giving you a great feeling once you manage to get a great deal, so it has two positive effects! I hope I was able to give you some tips on how to find cheap flights here and that you will be able to make use of them to save some money on your own trip! There are certainly more tips, but due to a lack of time on my end, I have decided to concentrate on the top 6 tips I have to offer. Nevertheless, please feel free to leave your feedback in the comments and add on to my list! I've heard that prices sometimes differ based on the country the ticket is ordered from. Example: the same flight booked on the same website could be more expensive when ordered from Switzerland as opposed to say Ghana. So using a proxy can also give you better prices.